If you're a fan of mango vape juices, then look no further than Mango nic salt vape juice by Apollo. Fresh mango gives way to a subtle note of juicy peaches that brings you back to warm summer days filled with fresh fruits. Apollo's line of nicotine salt vape juices delivers simple, elegant flavors in a range of flavor profiles; from fruity to menthol to tobacco flavors, there's sure to be a perfect option for your pod mod. 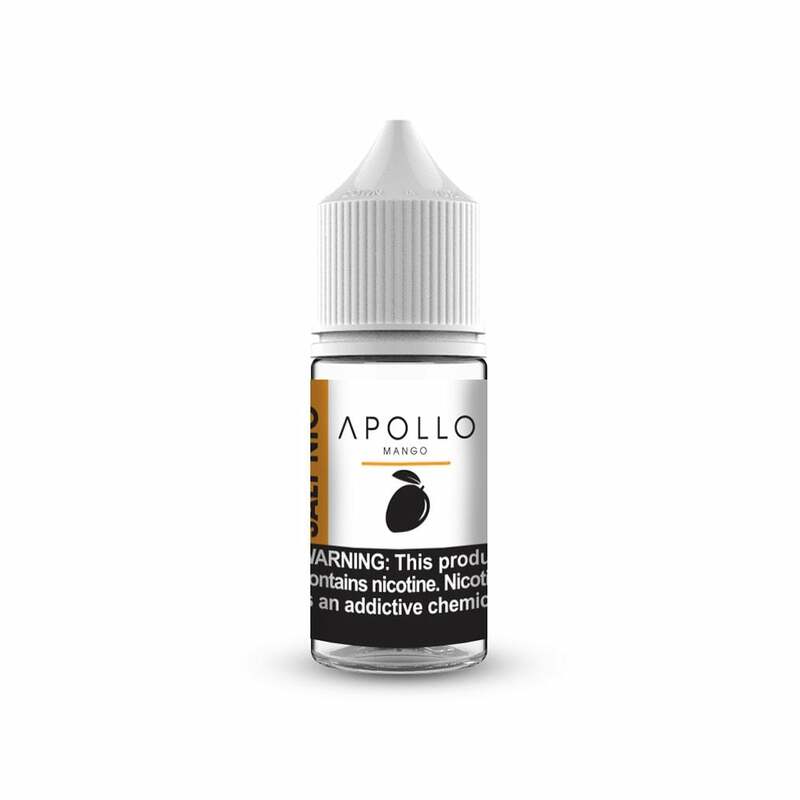 Apollo nicotine salt juices are available in 50mg (5.0%), 35mg (3.5%), and 20mg (2.0%) nicotine strengths and have a 50/50 VG/PG ratio. This is super tasty and smooth.